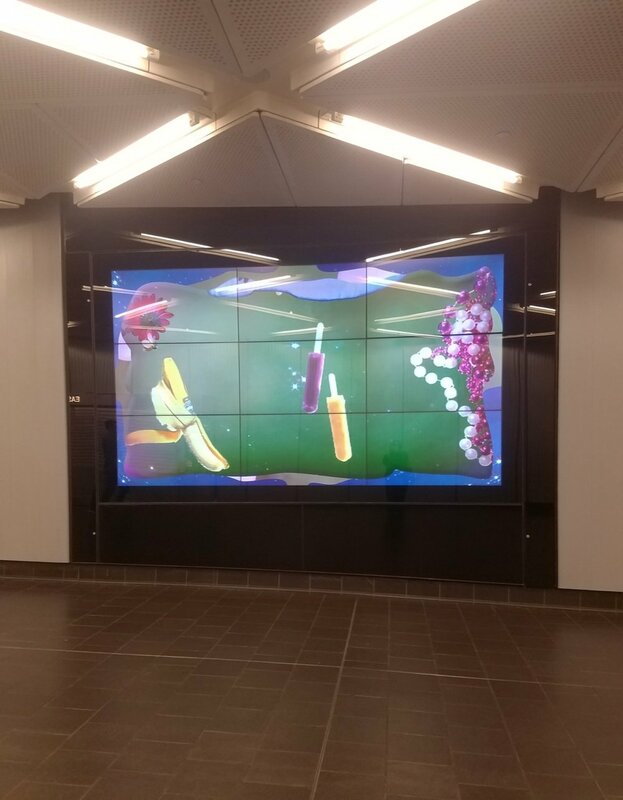 This Summer-Fall I have a really exciting installation in a new subway interchange/mall in lower Manhattan. 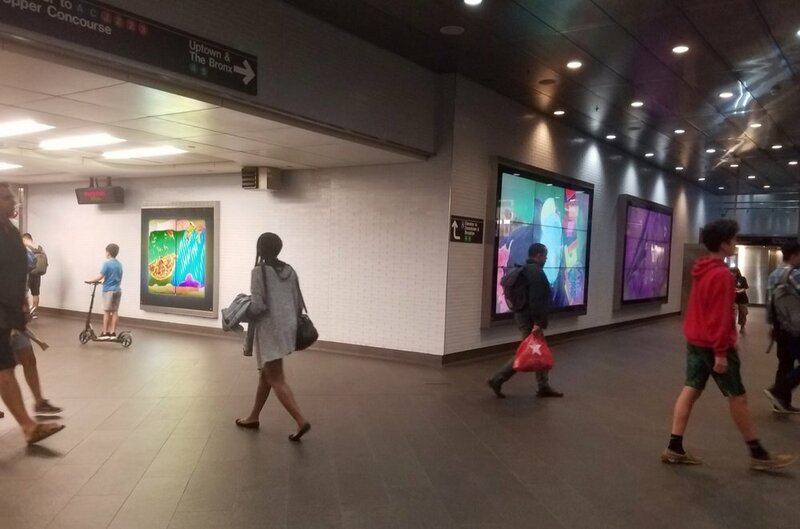 The NYC MTA commissioned me to expand my work Skyyys™ into a 52-Channel installation the sprawls throughout the station, including some large stadium-sized screens on the street level at Fulton and Broadway, as well as a really fun 360º wrap-around screen, and a bunch of "shared-info" MTA screens featuring subway information, etc. 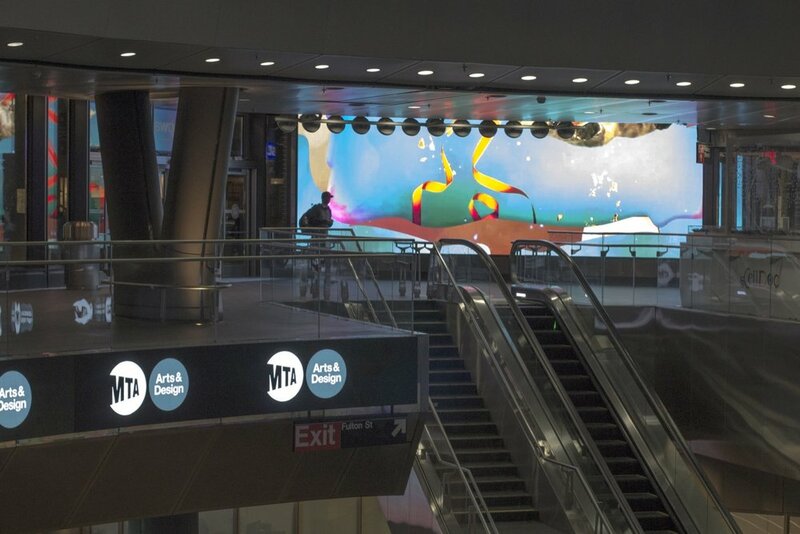 Commissioned by MTA Arts & Design, artist Dave Greber’s Skyyys™is the most recent iteration of his vibrant, digital abstractions created from recognizable, colorful kinetic objects, such as balloons, bouncing balls, and stuffed animals. 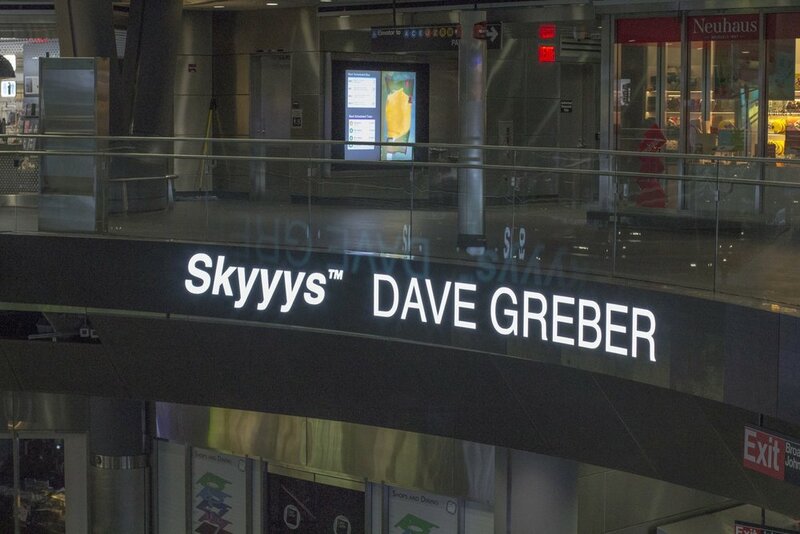 Skyyys™playfully mimics the persistent activity and change that defines our material world and transit experiences. 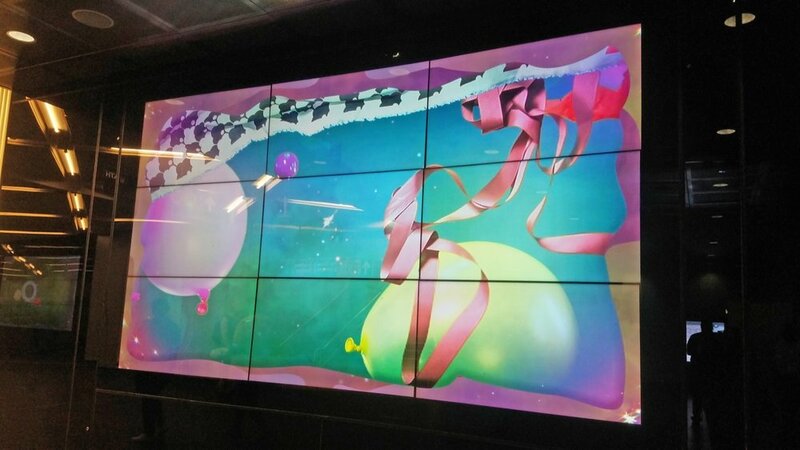 The piecereferences and remixes the distinct, but convergent, forces between virtual media streams and our infinitely inventive minds, which simultaneously inhabit the same time and space. 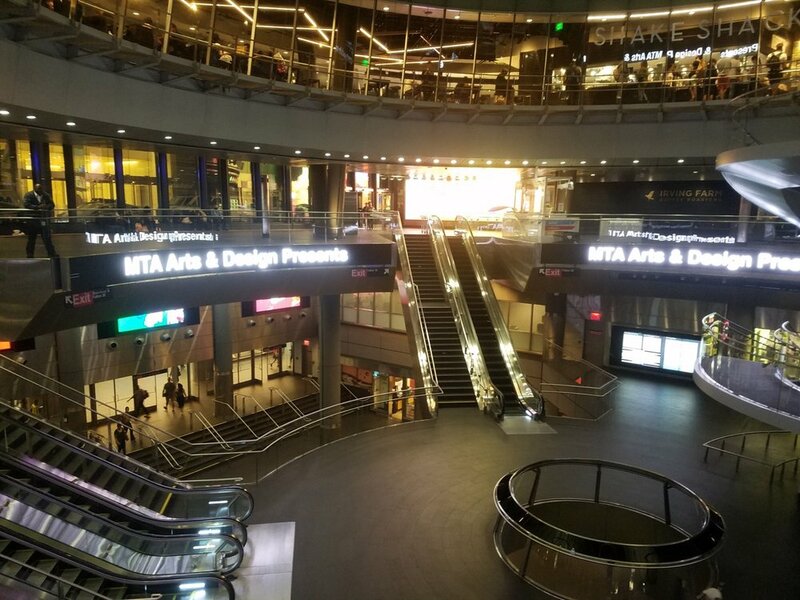 The tidal pace, whimsical imagery, and prismatic palette of Skyyys™creates harmonious visual-music that complements the pace of commuters at Fulton center, a likewise kaleidoscopic, liminal space, in the heart of visually diverse New York City. 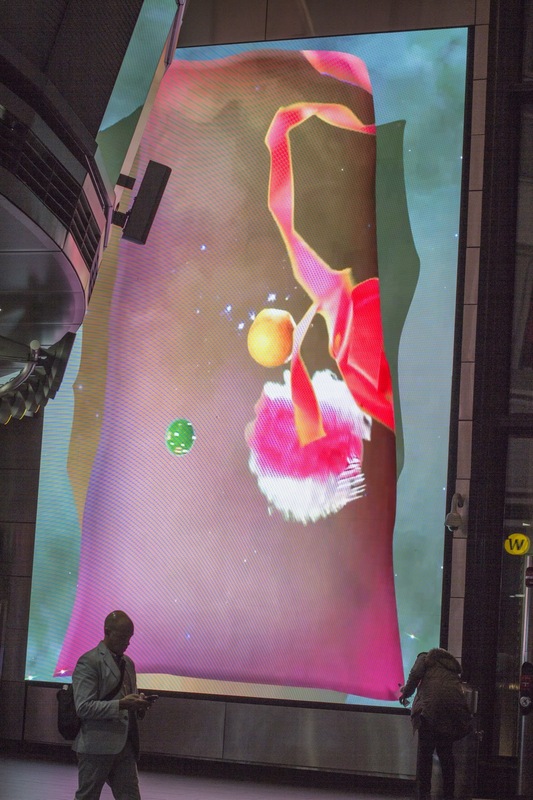 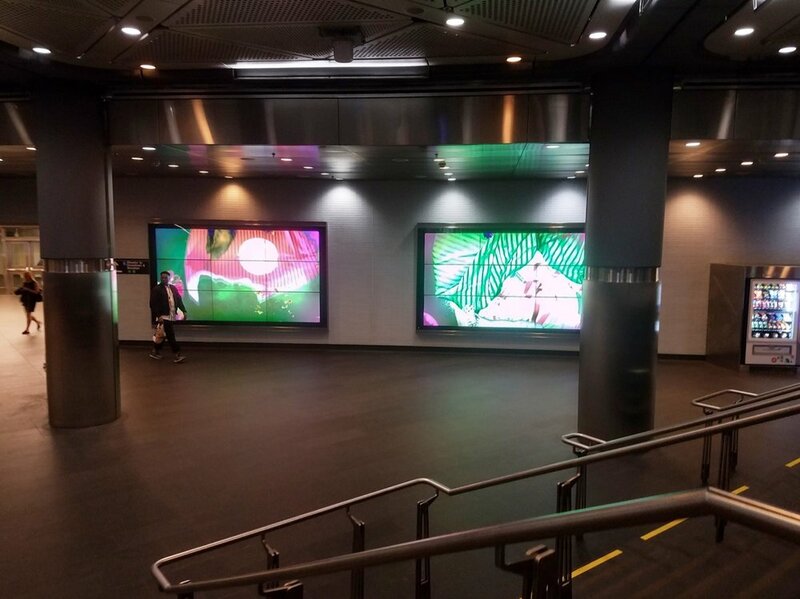 Greber’s immersive 52-channel digital animation can be seen for two minutes at the top of each hour in the Fulton Center complex and the Dey Street pedestrian tunnel that connects to the R line and the World Trade Center PATH station. 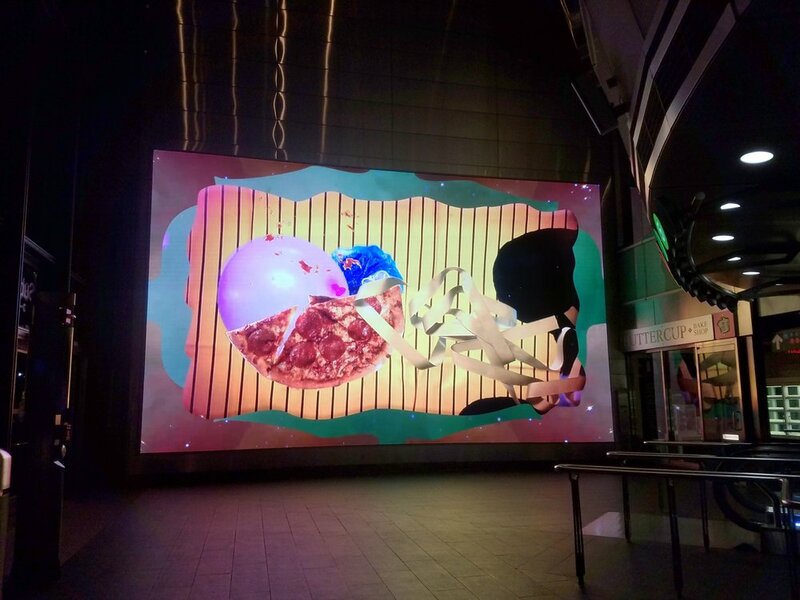 The work will be on view until fall 2018. 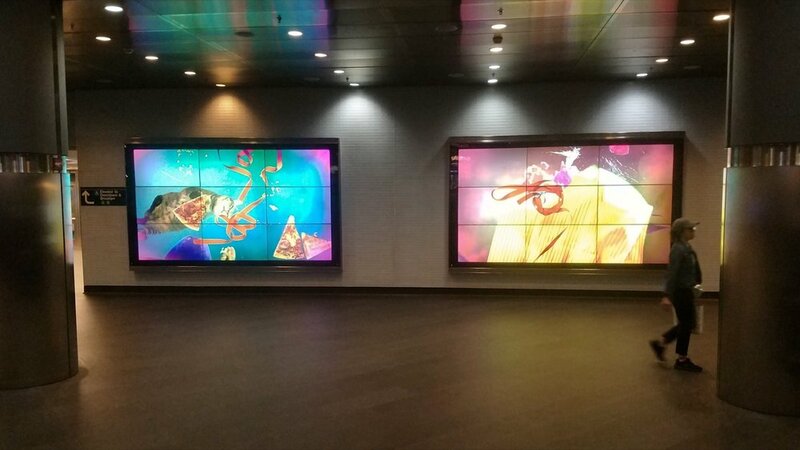 The work is presented by MTA Arts & Design with technical support from Westfield Properties and ANC Sports.